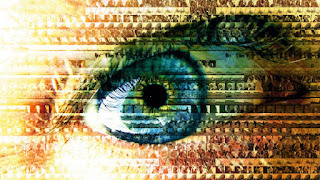 EU Law Analysis: American Mass Surveillance of EU citizens: Is the End Nigh? American Mass Surveillance of EU citizens: Is the End Nigh? *This blog post is dedicated to the memory of the great privacy campaigner Caspar Bowden, who passed away recently. What a tragedy he did not leave to see the developments in this case. To continue his work, you can donate to the Caspar Bowden Legacy Fund here. A brilliant university student takes on the hidebound establishment – and ultimately wins spectacularly. That was Mark Zuckerberg, founding Facebook, in 2002. But it could be Max Schrems, taking on Zuckerberg and Facebook, in the near future – if the Court of Justice decides to follow the Advocate-General’s opinion in the Schrems case, released today. In fact, Facebook is only a conduit in this case: Schrems’ real targets are the US government (for requiring Facebook and other Internet companies to hand over personal data to intelligence agencies), as well as the EU Commission and the Irish data protection authority for going along with this. In the Advocate-General’s opinion, the Commission’s decision to allow EU citizens’ data to be subject to mass surveillance in the US is invalid, and the national data protection authorities in the EU must investigate these flows of data and prohibit them if necessary. The case has the potential to change much of the way that American Internet giants operate, and to complicate relations between the US and the EU in this field. There’s more about the background to this litigation here, and Simon McGarr has summarised the CJEU hearing in this case here. But I’ll summarise the basics of the case again here briefly. Max Schrems is an Austrian Facebook user who was disturbed by Edward Snowden’s revelations about mass surveillance by US intelligence agencies. Since such mass surveillance is put into effect by imposing obligations to cooperate upon Internet companies, he wanted to complain about Facebook’s transfers of his personal data to the USA. Since Facebook’s European operations are registered in Ireland, he had to bring his complaints to the Irish data protection authority. The legal regime applicable to such transfers of personal data is the ‘Safe Harbour’ agreement between the EU and the USA, agreed in 2000 – before the creation of Facebook and some other modern Internet giants, and indeed before the 9/11 terrorist attacks which prompted the mass surveillance. This agreement was put into effect in the EU by a decision of the Commission, which used the power conferred by the EU’s current data protection Directive to declare that transfers of personal data to the USA received an ‘adequate level of protection’ there. there is a substantial likelihood that the Principles are being violated; there is a reasonable basis for believing that the enforcement mechanism concerned is not taking or will not take adequate and timely steps to settle the case at issue; the continuing transfer would create an imminent risk of grave harm to data subjects; and the competent authorities in the Member State have made reasonable efforts under the circumstances to provide the organisation with notice and an opportunity to respond. In fact, Irish law prevents the national authorities from taking up this option. So the national data protection authority effectively refused to consider Schrems’ complaint. He challenged that decision before the Irish High Court, which doubted that this system was compatible with EU law (or indeed the Irish constitution). So that court asked the CJEU to rule on whether national data protection authorities (DPAs) should have the power to prevent data transfers in cases like these. The Advocate-General first of all answers the question which the Irish court asks, and then goes on to examine whether the Safe Harbour decision is in fact valid. I’ll address those two issues in turn. In the Advocate-General’s view, national data protection authorities have to be able to consider claims that flows of personal data to third countries are not compatible with EU data protection laws, even if the Commission has adopted a decision declaring that they are. This stems from the powers and independence of those authorities, read in light of the EU Charter of Fundamental Rights, which expressly refers to DPAs’ role and independence. (On the recent CJEU case law on DPA independence, see discussion here). It’s worth noting that the new EU data protection law under negotiation, the data protection Regulation, will likely confirm and even enhance the powers and independence of DPAs. (More on that aspect of the proposed Regulation here). On the second point, the opinion assesses whether the Safe Harbour Decision correctly decided that there was an ‘adequate level of protection’ for personal data in the USA. Crucially, it argues that this assessment is dynamic: it must take account of the protection of personal data now, not just when the Decision was adopted back in 2000. As for the meaning of an ‘adequate level of protection’, the opinion argues that this means that third countries must ensure standards ‘essentially equivalent to that afforded by the Directive, even though the manner in which that protection is implemented may differ from that’ within the EU, due to the importance of protecting human rights within the EU. The assessment of third-country standards must examine both the content of those standards and their enforcement, which entailed ‘adequate guarantees and a sufficient control mechanism’, so there was no ‘lower level of protection than processing within the European Union’. Within the EU, the essential method of guaranteeing data protection rights was independent DPAs. Applying these principles, the opinion accepts that personal data transferred to the USA by Facebook is subject to ‘mass and indiscriminate surveillance and interception’ by intelligence agencies, and that EU citizens have ‘no effective right to be heard’ in such cases. These findings necessarily mean that the Safe Harbour decision was invalid for breach of the Charter and the data protection Directive. More particularly, the derogation for the national security rules of US law set out in the Safe Harbour principles was too general, and so the implementation of this derogation was ‘not limited to what is strictly necessary’. EU citizens had no remedy against breaches of the ‘purpose limitation’ principle in the US either, and there should be an ‘independent control mechanism suitable for preventing the breaches of the right to privacy’. The opinion then assesses the dispute from the perspective of the EU Charter of Rights. It first concludes that the transfer of the personal data in question constitutes interference with the right to private life. As in last year’s Digital Rights Ireland judgment (discussed here), on the validity of the EU’s data retention directive, the interference with rights was ‘particularly serious, given the large numbers of users concerned and the quantities of data transferred’. In fact, due to the secret nature of access to the data, the interference was ‘extremely serious’. The Advocate-General was also concerned about the lack of information about the surveillance for EU citizens, and the lack of an effective remedy, which breaches Article 47 of the Charter. However, interference with these fundamental rights can be justified according to Article 52(1) of the Charter, as long as the interference is ‘provided for by law’, ‘respect[s] the essence’ of the right, satisfies the ‘principle of proportionality’ and is ‘necessary’ to ‘genuinely meet objectives of general interest recognized by’ the EU ‘or the need to protect the rights and freedoms of others’. In the Advocate-General’s view, the US law does not respect the ‘essence’ of the Charter rights, since it extends to the content of the communications. (In contrast, the data collected pursuant to the data retention Directive which the CJEU struck down last year concerned only information on the use of phones and the Internet, not the content of phone calls and Facebook posts et al). On the same basis, he objected to the ‘broad wording’ of the relevant derogations on national security grounds, which did not clearly define the ‘legitimate interests’ at stake. Therefore, the derogation did not comply with the Charter, ‘since it does not pursue an objective of general interest defined with sufficient precision’. Moreover, it was too easy under the rules to escape the limitation that the derogation should only apply when ‘strictly necessary’. Only the ‘national security’ exception was sufficiently precise to be regarded as an objective of general interest under the Charter, but it is still necessary to examine the ‘proportionality’ of the interference. This was a case (like Digital Rights Ireland) where the EU legislature’s discretion was limited, due to the importance of the rights concerned and the extent of interference with them. The opinion then focusses on whether the transfer of data is ‘strictly necessary’, and concludes that it is not: the US agencies have access to the personal data of ‘all persons using electronic communications services, without any requirement that the persons concerned represent a threat to national security’. Crucially, the opinion concludes that ‘[s]uch mass, indiscriminate surveillance is inherently disproportionate and constitutes an unwarranted interference’ with Charter rights. The Advocate-General agreed that since the EU and the Member States cannot adopt legislation allowing for mass surveillance, non-EU countries ‘cannot in any circumstances’ be considered to ensure an ‘adequate level of protection’ of personal data if they permit it either. Furthermore, there were not sufficient guarantees for protection of the data. Following the Digital Rights Ireland judgment, which stressed the crucial importance of such guarantees, the US system was not sufficient. The Federal Trade Commission could not examine breach of data protection laws for non-commercial purposes by government security agencies, and nor could specialist dispute resolution bodies. In general, the US lacks an independent supervisory authority, which is essential from the EU’s perspective, and the Safe Harbour decision was deficient for not requiring one to be set up. A third country cannot be considered to have ‘an adequate level of protection’ without it. Furthermore, only US citizens and residents had access to the judicial system for challenging US surveillance, and EU citizens cannot obtain remedies for access to or correction of data (among other things). So the Commission should have suspended the Safe Harbour decision. Its own reports suggested that the national security derogation was being breached, without sufficient safeguards for EU citizens. While the Commission is negotiating revisions to that agreement with the USA, that is not sufficient: it must be possible for the national supervisory authority to stop data transfers in the meantime. The Advocate-General’s analysis of the first point (the requirement that DPAs must be able to stop data flows if there is a breach of EU data protection laws) is self-evidently correct. In the absence of a mechanism to hear complaints on this issue and to provide for an effective remedy, the standards set out in the Directive could too easily be breached. Having insisted that the DPAs must be fiercely independent of national governments, the CJEU should not now accept that they can be turned into the tame poodles of the Commission. On the other hand, his analysis of the second point (the validity of the Safe Harbour Decision) is more problematic – although he clearly arrives at the correct conclusion. With respect, there are several flaws in his reasoning. Although EU law requires strong and independent DPAs within the EU to ensure data protection rights, there is more than one way to skin this particular cat. The data protection Directive notably does not expressly require that third countries have independent DPAs. While effective remedies are of course essential to ensure that data protection law (likely any other law) is actually enforced in practice, those remedies do not necessarily have to entail an independent DPA. They could also be ensured by an independent judiciary. After all, Americans are a litigious bunch; Europeans could join them in the courts. But having said that, it is clear that in national security cases like this one, EU citizens have neither an administrative nor a judicial remedy worth the name in the USA. So the right to an effective remedy in the Charter has been breached; and it is self-evident that processing information from Facebook interferes with privacy rights. Is that limitation of rights justified, however? Here the Advocate-General has muddled up several different aspects of the limitation rules. For one thing, the precision of the law limiting rights and the public interest which it seeks to protect are too separate things. In other words, the public interest does not have to be defined precisely; but the law which limits rights in order to protect the public interest has to be. So the opinion is right to say that national security is a public interest which can justify limitation of rights in principle, but it fails to undertake an examination of the precision of the rules limiting those rights. As such, it omits to examine some key questions: should the precision of the law limiting rights be assessed as regards the EU law, the US law, or both? Should the US law be held to the same standards of clarity, foreseeability and accessibility as European states’ laws must be, according to the ECHR jurisprudence? Next, it’s quite unconvincing to say that processing the content of communications interferes with the ‘essence’ of the privacy and data protection rights. The ECHR case law and the EU’s e-privacy directive expressly allow for interception of the content of communications in specific cases, subject to strict safeguards. So it’s those two aspects of the US law which are problematic: its nature as mass surveillance, plus the inadequate safeguards. On these vital points, the analysis in the opinion is correct. The CJEU’s ruling in Digital Rights Ireland suggests, in my view, that mass surveillance is inherently a problem, regardless of the safeguards in place to limit its abuse. This is manifestly the Advocate-General’s approach in this case; and the USA obviously has in place mass surveillance well in excess of the EU’s data retention law. The opinion is also right to argue that EU rules banning mass surveillance apply to the Member States too, as I discuss here. But even if this interpretation is incorrect, and mass surveillance is only a problem if there are weak safeguards, then the Safe Harbour decision still violates the Charter, due to the lack of accessible safeguards for EU citizens as discussed above. Hopefully, the Court of Justice will confirm whether mass surveillance is intrinsically problematic or not: it is a key issue for Member States retaining data by way of derogation from the e-privacy Directive, for the validity of EU treaties (and EU legislation) on specific issues such as retaining passenger data (see discussion here of a pending case), and for the renegotiation of the Safe Harbour agreement itself. This brings us neatly to the consequences of the CJEU’s forthcoming judgment (if it follows the opinion) for EU/US relations. Since the opinion is based in large part upon the EU Charter of Rights, which is primary EU law, it can’t be circumvented simply by amending the data protection Directive (on the proposed new rules on external transfers under the planned Regulation, see discussion here). Instead, the USA must, at the very least, ensure that adequate remedies for EU citizens and residents are in place in national security cases, and that either a judicial or administrative system is in place to enforce in practice all rights which are supposed to be guaranteed by the Safe Harbour certification. Facebook and others might consider moving the data processing of EU residents to the EU, but it’s hard to see how this could work for any EU resident with (for instance) Facebook friends living in the USA. Surely in such cases processing of the EU data in the USA is unavoidable. Moreover, arguably it would not be sufficient for the forthcoming EU/US trade and investment agreement (known as ‘TTIP’) to provide for a qualified exemption for EU data protection law, along the lines of the WTO’s GATS. Only a complete immunity of EU data protection law from the TTIP – and any other EU trade and investment agreements – would be compatible with the Charter. Otherwise, companies like Facebook and Google might try to invoke the controversial investor dispute settlement system (ISDS) every time a judgment like Google Spain or (possibly) Schrems cost them money.